Jansen. They are built out of PVC pipe and are powered by the wind. Sometimes they collect wind energy and store it in 2 liter soda bottles that are in turn used to move the legs, then gather more wind energy . . .
How cool would it be to see a couple of these coming down an empty beach or walking across a desert? 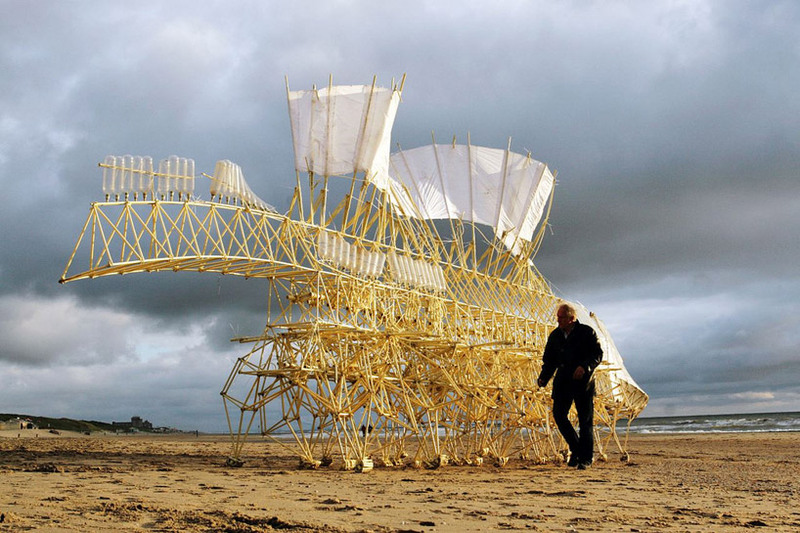 See the video below for some Strandbeests in action.